For about 20 percent of people in the United States, gastroesophageal reflux disease (GERD) is a nagging problem. GERD is a digestive disorder that causes the contents of the stomach, mostly acid and bile, to flow back up into the esophagus (the tube that carries food from the mouth to the stomach). The most common symptoms of GERD are heartburn, usually after meals, as well as vomiting and nausea. Other symptoms of GERD can include sore throat or hoarseness, dry cough, bad breath, laryngitis and chest/abdominal pain. "Generally, GERD can be treated through lifestyle modifications, such as diet changes, avoidance of large meals, weight loss and elevating the head of the bed," says Niraj Jani, MD, Division Head of Gastroenterology and Division Head of GI Oncology Gastroenterology at GBMC. "Certain medications may also provide relief, including over-the-counter heartburn remedies." In extreme cases, surgical procedures to prevent reflux may be considered. Ten to 15 percent of patients experiencing chronic GERD will develop a more serious disease called Barrett’s Esophagus (BE). BE causes damage to the lining of the esophagus and can increase a person’s risk of developing esophageal cancer. "The difficult thing about BE is that there are really no warning signs other than GERD," says Dr. Jani. "However, some factors can help us identify a patient’s risk for BE." The longer an individual has symptoms of GERD, the more at risk he or she is to get BE. The risk of BE goes up as a person ages, and it is more common in white men. Those with a family history of reflux disease are more likely to suffer from GERD, and in turn, BE. GBMC patients who are identified to be at a higher risk for BE are evaluated by a simple procedure using a long, thin tube with a light and camera at the end to examine the lining of the esophagus for abnormalities. If any are found, multiple techniques are available for ablating abnormal areas. "One highly effective procedure offered at GBMC’s Kroh Center for Digestive Disorders is called radiofrequency ablation (RFA), which uses heat energy generated by current to burn abnormal cells," explains Dr. Jani. He encourages patients to see a doctor at the onset of symptoms to prevent serious damage to the esophagus. "Even with our advanced capabilities for treating GERD and BE, there is still no substitute for early detection." If you think you may be suffering from GERD or are at high risk for Barrett’s Esophagus, schedule an appointment with a GBMC gastroenterologist by calling 443-849-GBMC or visiting www.gbmc.org. Transforming Healthcare Begins at "Home"
"Change can be difficult, and evolving into a patient-centered medical home model is a completely new mindset for delivering care," says Mark Lamos, MD, an internal medicine physician at GBMC for more than 20 years and leader of the primary care physician side of Greater Baltimore Medical Associates (GBMA). But he stresses that this particular change is in the best interest of patients. "As we transform practices into medical homes, we will only see improvement in the health of our community,” he explains. Dr. Lamos, along with the dedicated physicians, nurses and staff at the GBMC Hunt Valley practice, has developed and implemented the first medical home model for this practice and for GBMA. Among the significant changes he and his team have made are moving into an expanded office space, launching a new Electronic Medical Record (EMR) system, establishing care coordinator teams and extending office hours. Operating as a medical home means added emphasis on evidence-based medicine to decrease risks and improve wellness for patients. By focusing on disease management, patients who are dealing with obesity and/or have diabetes or hypertension, for example, will have a team coordinating their care so that their condition, medications, even follow-up appointments, are all closely monitored and managed. This keeps the disease in check for the long term, which benefits the patient and saves the system from expensive emergency room visits and hospital stays. Dr. Lamos states that if a physician refers a patient to a specialist, a care coordinator will verify that the patient went to the specialist. "We will also take other factors – like finances, mobility, language and cognitive skills – into consideration as we develop a treatment plan. It’s all about long-term, coordinated care to help our patients thrive.” He notes that implementation of the EMR system will ultimately make patient care more efficient, so that his team has time to guide patients to better health and to follow up with them. Debbie Jones-Shook, MS, CRNP, CDE, nurse practitioner at Hunt Valley, describes the evolution to a medical home model as a change in both the providers’ and patients’ attitudes. Instead of the current transactional method of care in which doctor or nurse treats each occurrence of pain or illness, patients are now being included as active members of their healthcare teams. "The relationship is more collaborative, with providers educating patients on how to better manage current disease states, prevent future disease and strive for more healthful outcomes,” she says. The employees of GBMC at Hunt Valley are a cohesive team that will continue to grow, learn and reinforce the medical home philosophy of patient-centeredness. Thus far, the transition has progressed smoothly, which Dr. Lamos and Jones-Shook attribute to the staff being very much like a family itself. They will be the first Greater Baltimore Health Alliance practice to become an accredited medical home site and will set the standard for all other GBMA practices, as well as private practice physicians. All of its physicians are board-certified in Emergency Medicine. Many are double or triple board-certified, with additional credentials in Pediatrics and/or Critical Care, which is uncommon for ED physicians. Its dedicated Pediatric ED offers specialized care in a child-friendly setting. The Pediatric ED combines urgent, emergency, observation and inpatient care services. A board-certified pediatrician is on-site around the clock. Patients consistently rate its physicians and staff highly in randomly given satisfaction surveys. 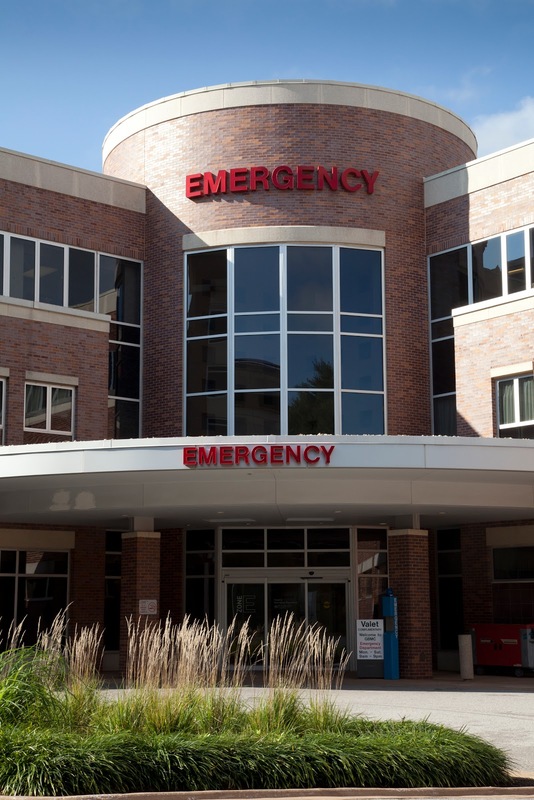 In fact, GBMC’s ED physicians rank in the top 10 percent of similarly sized emergency departments participating in the national survey. Its innovative approaches during crisis situations have earned the ED state recognition for disaster preparedness. For example, during the 2009 H1N1 pandemic, ED staff, many of whom serve on the hospital’s unique Critical Incident Committee, set up a "surge” tent outside. This allowed patients with flu symptoms to be treated promptly without entering the hospital and exposing others to the illness. Triage begins at the entrance of the department. A "Quick Look” nurse takes vital signs and assesses patients’ symptoms near the waiting area, then directs patients to treatment or triage rooms. Diagnostic tests begin right away in the same room. Complimentary valet parking is offered as a convenience to patients. Each patient room in the ED has a TV and telephone for patient use. It is capable of treating patients with a wide range of health concerns, from minor medical/surgical issues more serious injuries and illnesses such as stroke or chest pain. Approximately 61,400 people are treated in the ED each year. It is a primary stroke center, certified by The Joint Commission and the Maryland Institute for Emergency Medical Services Systems. ED staff members are held to a high standard of quality service. Physicians and nurses receive monthly "report cards,” which reflect their ratings from patient satisfaction surveys. Pedometer. This simple device can inspire your relatives to start counting their steps to health. Session of yoga classes. Perfect for someone who wants to get in shape but is reluctant to try something new. Check out the options for yoga, Pilates, step or other cardio classes in your area. Better yet, offer to join the class, too! Water bottle. Find a water bottle that suits the person you're buying for, both in function and style. There are many options, including metal bottles that are free of chemicals. It's a great tool for encouraging loved ones to get more H2O into their lives. Lunch bag. These aren't just for school children anymore! With many styles and colors, you're sure to find one that fits. It not only saves on packing waste by avoiding the brown bag, but also encourages bringing healthy lunches from home. Tea gift set. Compile assorted kinds of teas, including green, herbal and black, and arrange them in a decorative basket. You could also include a new travel mug or other accessory. Personal trainer session. Do you have a relative or friend who wants to lose those last 10 pounds? A session with a personal trainer may kick their cardio into high gear, helping them to achieve their goal. Fruit basket. Fill a basket or box with nutrient-packed fresh fruits for your family or friends. Include an apple corer or kitchen towel for an added touch. Oil and vinegar set. For the salad eaters on your list, buy a nice olive oil and balsamic vinegar set to spice up meals. An air-pop popcorn machine. This is perfect for the people on your list who love snacking, but are looking for a healthy alternative. Heart-healthy cooking. Wrap up a healthy cookbook, including the non-perishable ingredients for one of the meals. By purchasing healthy gifts for your loved ones this holiday season, you'll help give one of the greatest gifts – health.